Dozens of students and alumni showed up to the Kansas City School Board meeting Wednesday to discuss the future of Lincoln Prep's football field. KANSAS CITY, Mo. 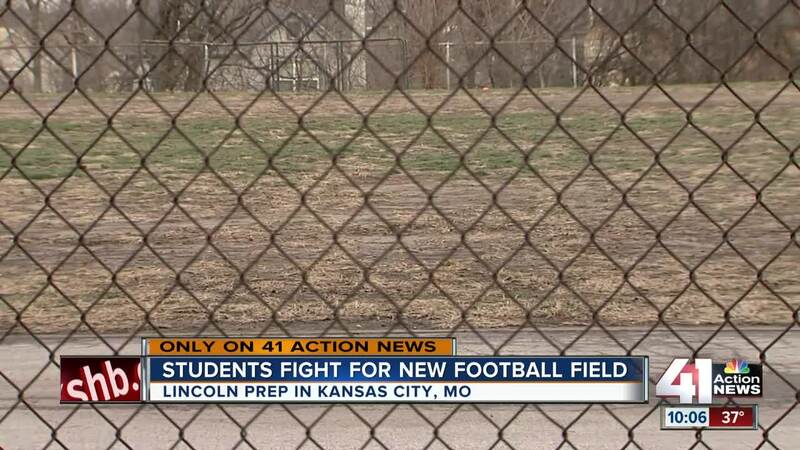 — Dozens of students and alumni showed up to the Kansas City School Board meeting Wednesday to discuss the future of Lincoln Prep's football field. It was the first opportunity the community could address the Board of Directors after a motion to approve new plans failed last month. In 2017, the school board approved plans to renovate the practice field. In July, the district held a groundbreaking for the renovations . As time progressed and other projects were completed under budget, the district said funds became available to build a full track and competition field at the school. The renovated practice field was estimated to cost around $1.5 million. The competitive field is expected to cost about $3.5 million but the district said it has the money to cover the difference. School alumnus and Miami Dolphins defensive end Charles Harris donated $100,000. An additional $250,000 grant has been awarded by the NFL through the Local Initiative Support Corporation of Kansas City. The school board will vote on the plan on January 9.